It’s March and here in Austin that means it’s time for SXSW the mix of interactive, film and music industry conferences, trade shows and festivals that takes over Dell’s hometown and draws crowds from around the world. “SXSW is one of the purest expressions of Austin because we thrive by being creative, providing a home to some of the biggest names in tech and film, and playing host to the best live music in the world,” said Austin Mayor Steve Adler. It’s more than just local pride that drives Dell Technologies to get involved with the ever-expanding event, though. 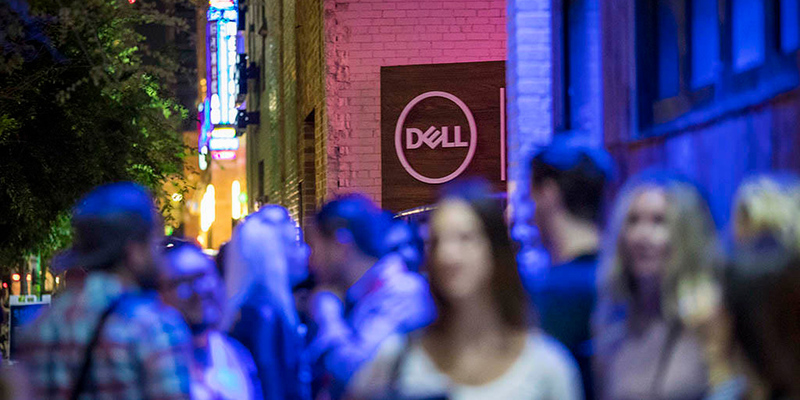 Just as SXSW dedicates itself to helping creative people achieve their goals, so does Dell. From powering five Academy Award-winning films for visual effects, to helping musicians push the boundaries of live electronic performance, to enabling an entrepreneur to create a renewal in wallpaper popularity and anything in between. And while, as I’d noted before, Michael Dell will be one of the featured speakers at SXSW, Dell Technologies will also be hosting THE EXPERIENCE at SXSW. This is a venue for attendees to see innovation in tech and hear from disruptive leaders making transformation real every day. You don’t have to be in Austin to see some of what will be there thanks to photographer Benjamin Von Wong, (who was hanging off the side of tall buildings with his Dell Rugged laptop last year). Just watch the challenges his team faced building a portal out of thousands of circuit boards. E-waste materials used in the photo shoot were collected from Dell’s recycling programs, Dell Reconnect and the Asset Resale and Recycling Services, and were recycled back into our Closed-Loop Recycling Process. 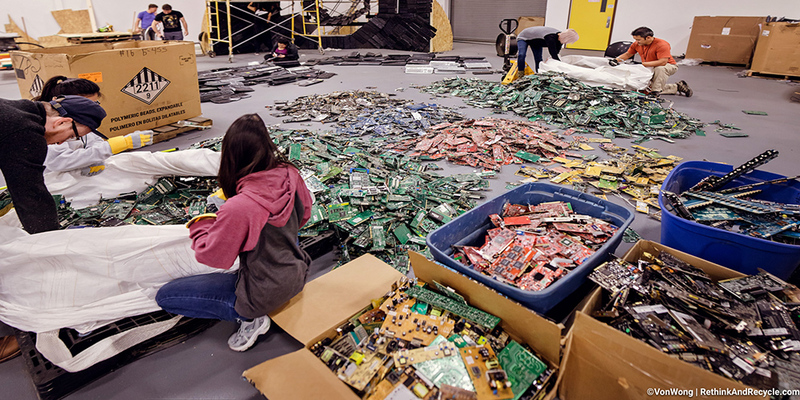 He built much more than just the portal from 4,100 pounds of e-waste — the approximate amount of e-waste an American might use over their lifetime. And, the results are stunning. But, he didn’t pull this off alone. Von Wong’s #RethinkRecycleRevive project promotes the importance of e-recycling through extraordinary art created by ordinary e-waste and he is just one of the “ARTivists” who will bring their blend of artistic skills and philanthropic passion to create inspiring pieces that increase awareness of sustainability and social good. If you’re attending SXSW, RSVP here to join them Sunday, March 11, 10:00am – noon at THE EXPERIENCE. It’s just one of 17 different events happening at THE EXPERIENCE, so be sure to click over and check out the others. They range from discussions on how we can support women entrepreneurs through public policy to the impact of artificial intelligence on cybersecurity, and from virtual reality for good to gaming. I’ve heard there will even be robot bartenders at the special Trailblazers podcast taping Saturday evening! If you can’t be there, you can follow along at #DellExperience, listen for that podcast to debut, and watch for more blog posts to come here on Direct2Dell.